Rock & Go! 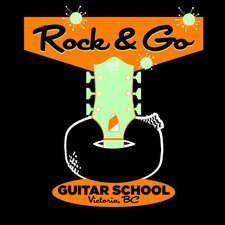 is a local Guitar School in Victoria, which delivers expert Guitar Instruction in any style right to your door. From complete beginners to advanced players, learn all of the necessary skills to play great guitar in the comfort of your own home. We Customise lessons to suit your level and needs! Develop your guitar playing from the ground up with Rock and Go's highly qualified instuctors. We are here to help you acheive your goals and make you a better player whether or not you're a complete beginner or an advanced musician.